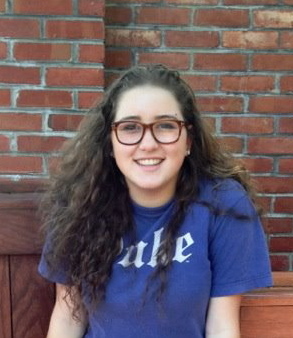 Meet the founder of the Foodies of New York Series: Rachel Wells – a high school senior at the Spence School. She is the senior head and co-founder of the school’s first computer programming club (it’s partnered with the organization Girls Who Code!) which has gone from 9 to about 40 members in its first semester in the high school alone. At a local Hackathon, she and her team of two other girls built an app that won 1st place for being the best app to use Ordr.In’s API. While her newfound passion for the science is taking her in directions she never expected to go, she has a strong focus on and love for hospitality and hopes to one day hold a C-level position at a hotel chain. Rachel has lived in NYC since birth, but spent a year in Switzerland. When asked why she returned to NYC, she admitted “I love my school, and couldn’t imagine graduating anywhere else – but also the food. I missed the variety and the accessibility of the different restaurants and food-related events.” She loves the number of options available in NYC; that there is food for every budget, every taste, every concern or diet, every occasion and that it’s there at almost every hour. Her favorite restaurant however, is Móle on the UES. 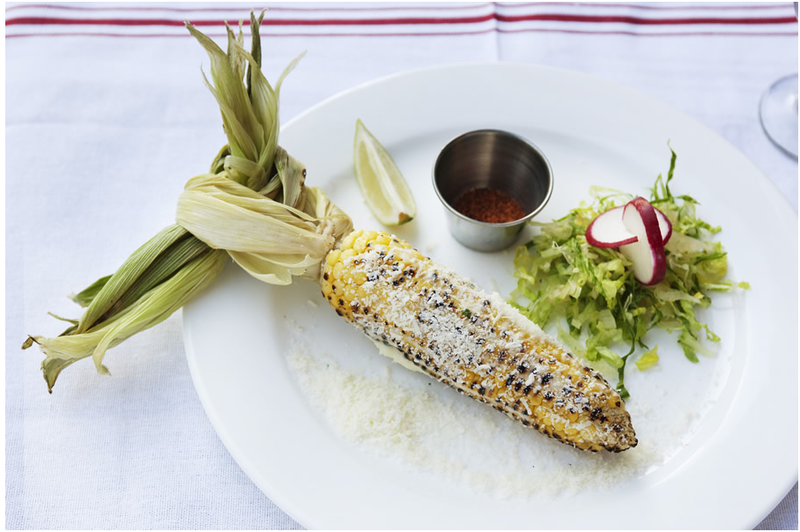 “It’s hands-down the best food in this city – I order about 10 orders of the signature corn appetizer, which is like Mexican corn from street fairs on steroids”, she gushed as she re-tied her brown leather Steve Madden high-tops. She discovered Móle when her family went for her mother’s birthday dinner two years ago. Since then, it’s where she goes every time she has a reason to celebrate. “Honestly, one of the best parts about deciding where I’ll attend college next fall will be the Móle dinner afterwards”, she added as she giggled. When asked about food trucks she explained that she was originally apprehensive to try food out of someone’s truck, but after trying some of the local vendors she quickly changed her mind – “I could tell it was all fresh, clean and most importantly, made with love.” Her favorite vendor is Mac Truck NYC, a truck that specializes in macaroni and cheese. 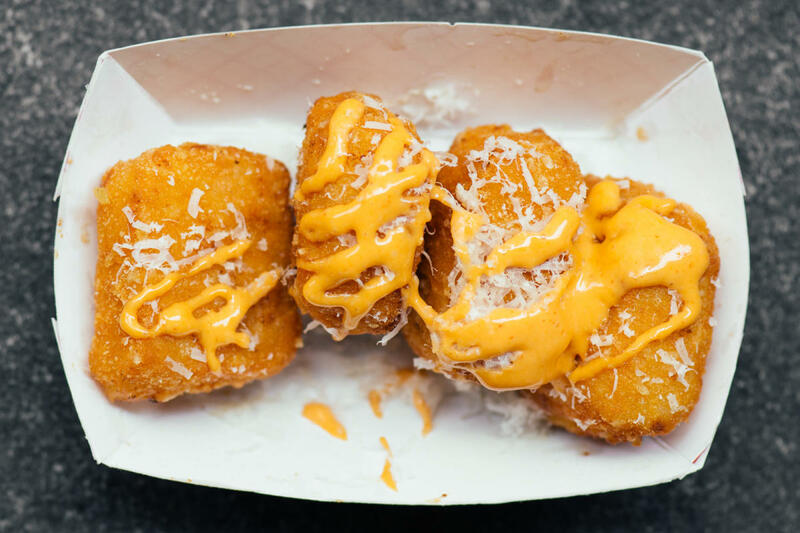 She loves the classic Fried Mac Bites and claims they are “more addictive than any drug Walter White could create.” She orders in once a week exclusively from FoodtoEat. As someone who is extremely interested in hospitality in its entirety, she loves the push for sustainability for local restaurants.